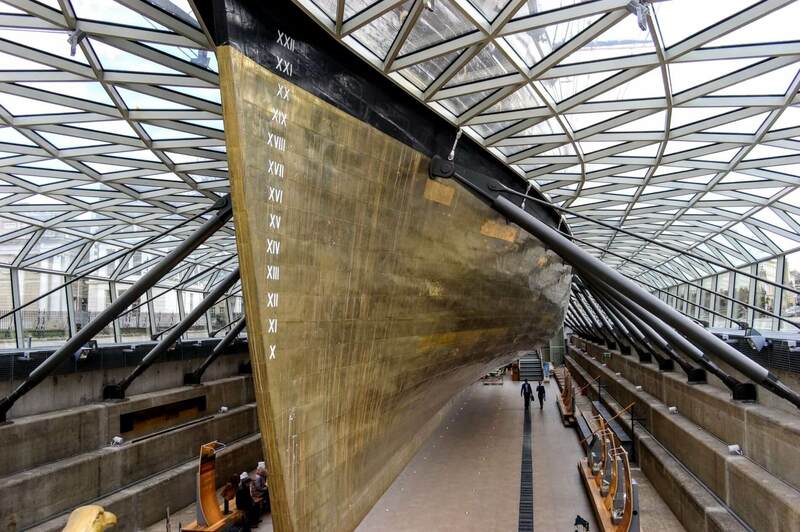 London is a huge city, and you can seriously never run out of things to do here. It has been our goal to explore each area and discover as much as we can. London continues to be our favorite city. If you have never been, you must visit. 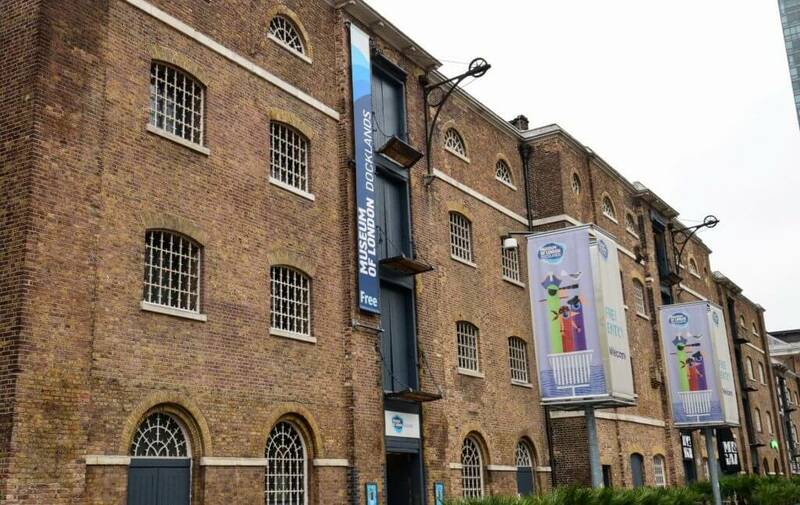 Besides the usual tourist spots such as Big Ben, the London Eye, and Tower Bridge for example, East London has some pretty incredible and unique things that are worth checking out as well. 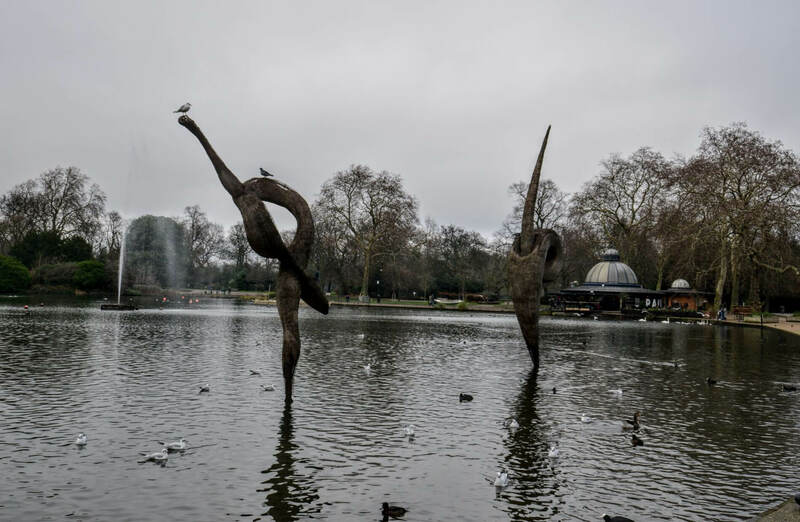 We’ve been to the east side a few days and wanted to share some things we’ve enjoyed, and give some ideas if you are looking for something new to do in London! 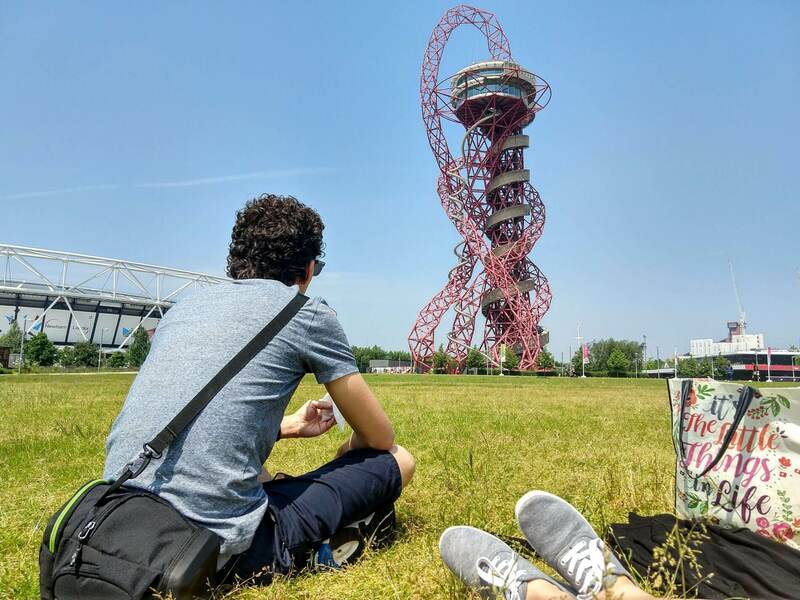 Picnicking at the ArcelorMittal Orbit on a warm spring day. 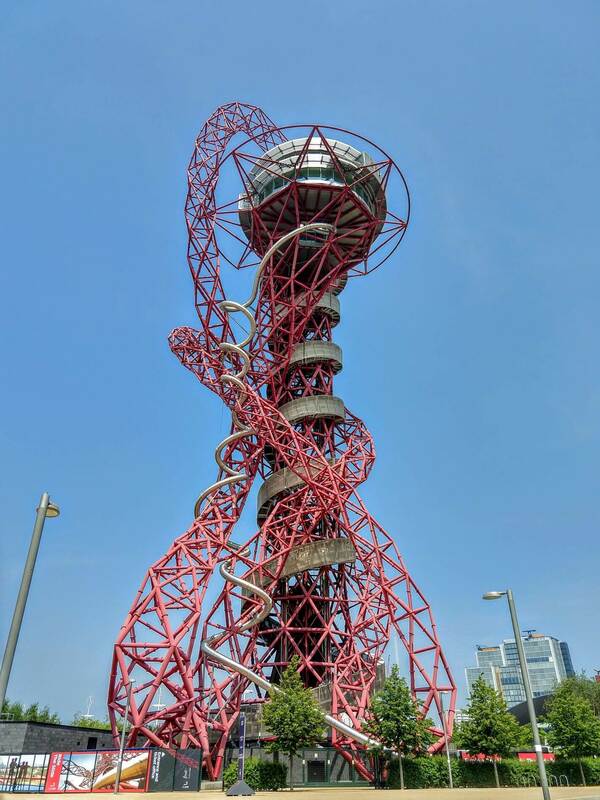 This bizarre structure, also known as the Orbit Tower, is a landmark to commemorate the London 2012 Olympics. It has an observation tower AND the longest tunnel slide in the world! Also it is the UK’s tallest sculpture. The tower sits inside the Queen Elizabeth Olympic Park. It’s a great place to walk around and have a picnic on the grass. 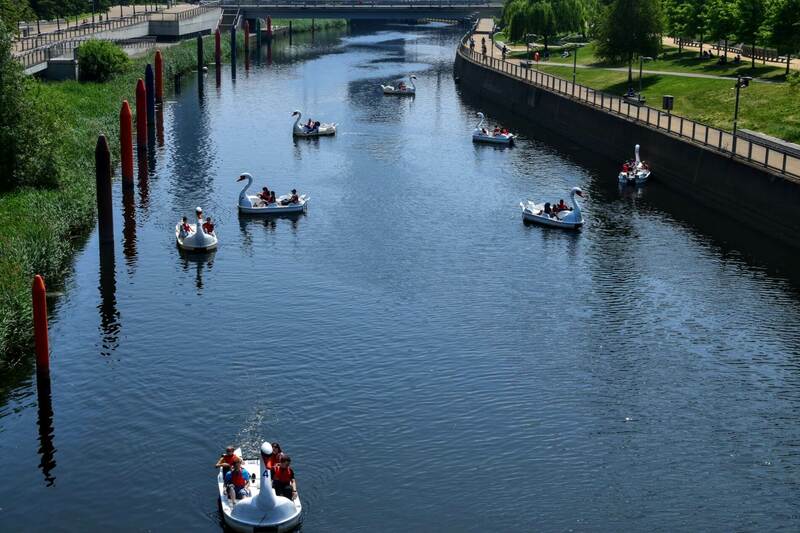 The park contains the London Stadium, London Aquatics Centre, playgrounds, cafes, waterway with paddle boats, among many other things! 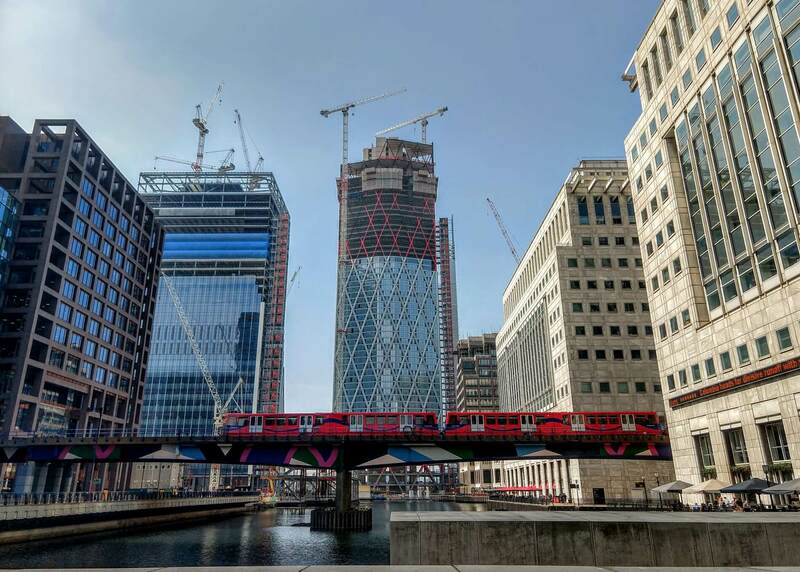 Area around Canary Wharf and the train station. Canary Wharf has skyscrapers of its own, and is a financial area, sitting right on the Isle of Dogs. 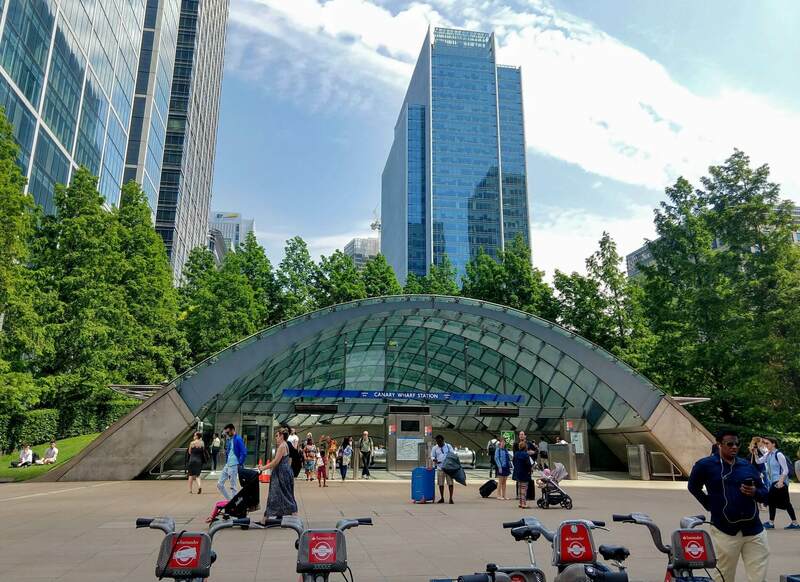 Canary Wharf has a huge shopping complex inclusive of all your needs and fun activities. Lots of places to eat and rooftop gardens. I only knew to visit this place because of a travel book of London from 2017. It’s a cool place to visit. 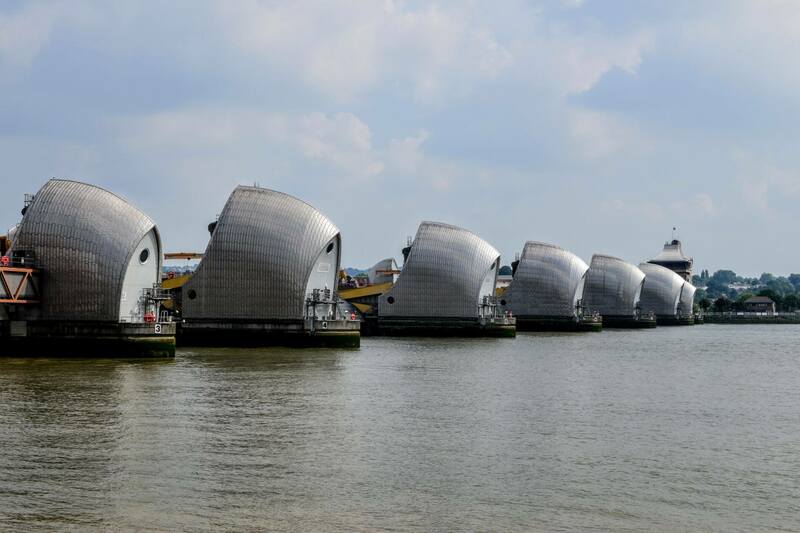 These silver fin looking things that line the Thames River, help control the levels of the river and to prevent flooding. There is a park and garden that is pretty to walk through and relax. 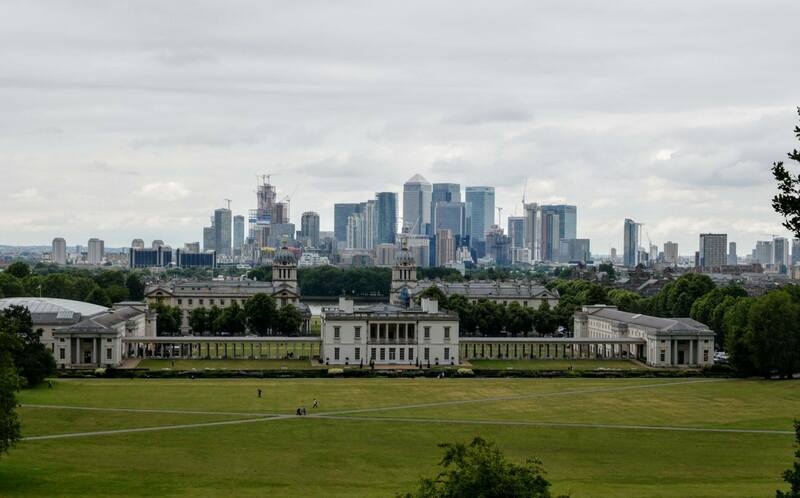 Greenwich is a London borough, with quite a few things to explore around here. We’ve visited by boat on one of the hop-on hop-off City Cruises. It’s accessible by metro as well. 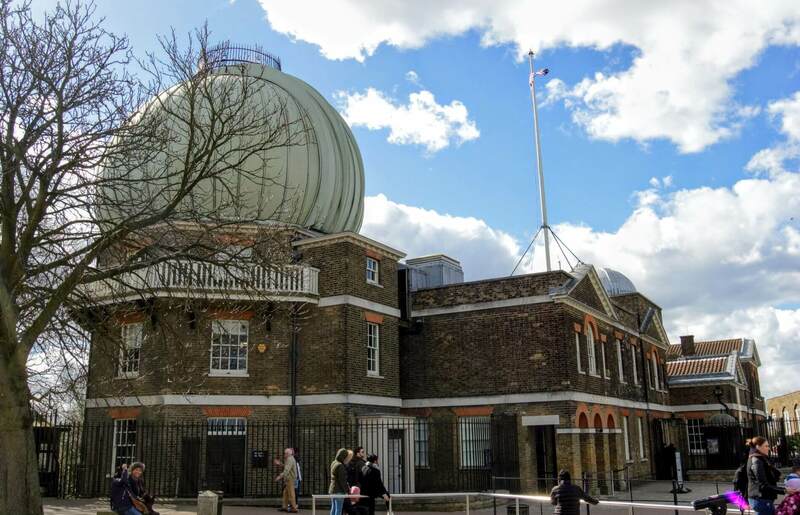 For a free view of London, walk up the hill to where the Royal Observatory Greenwich is. 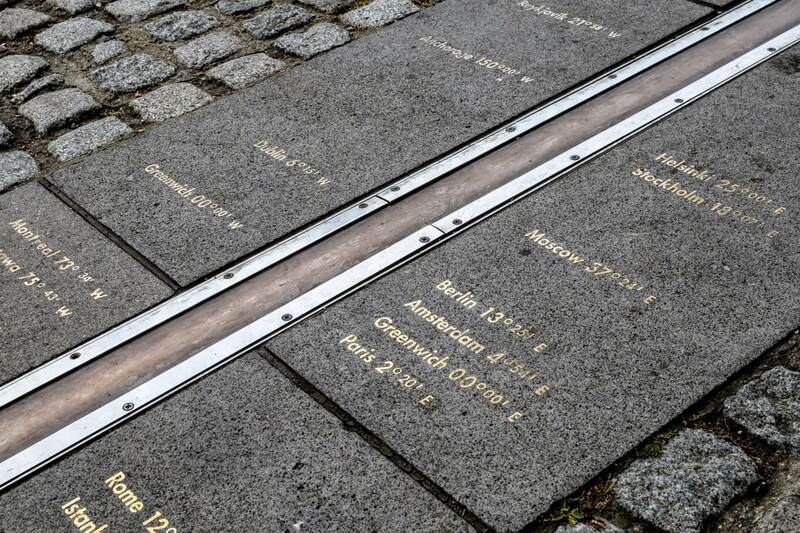 This is also the location of the prime meridian line and where time as we know it started! 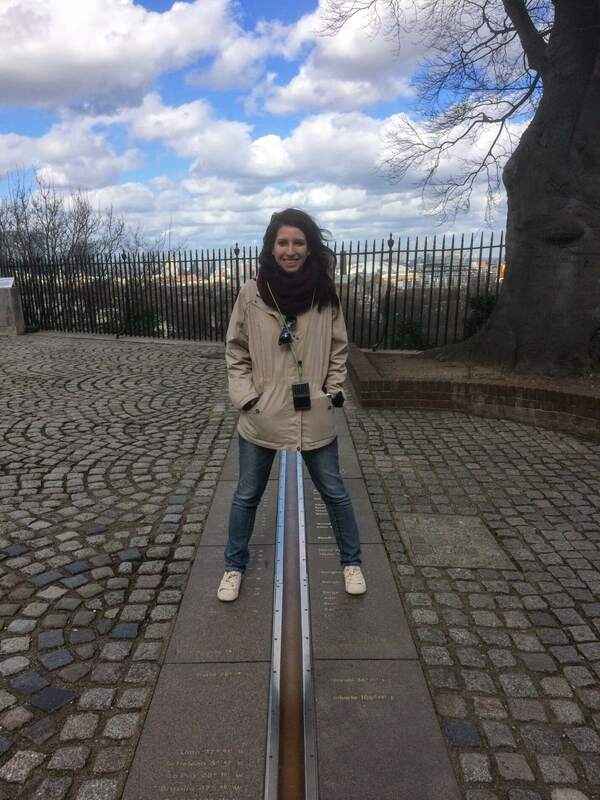 You can take a picture straddling the meridian line too. 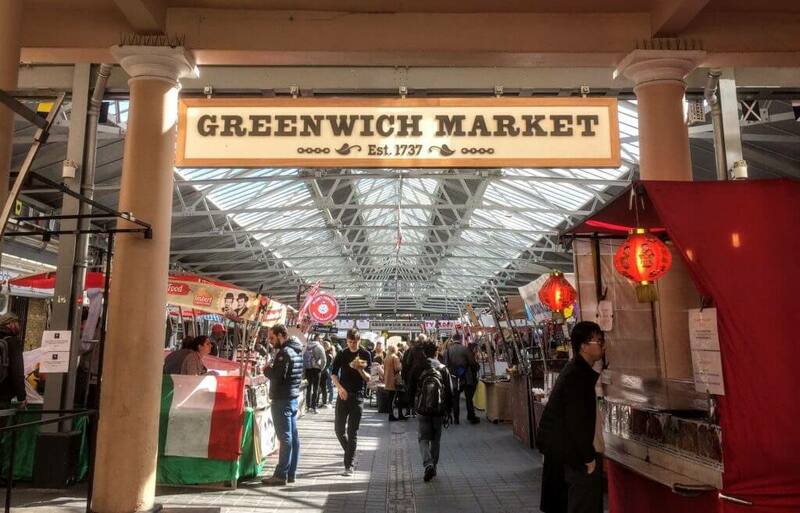 Besides the hill, there is the Greenwich market and we loved the street food here. 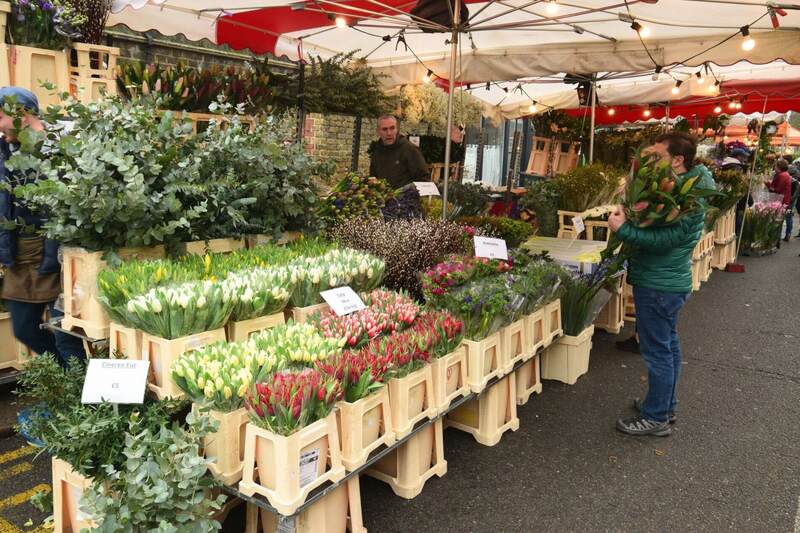 They sell other things besides food, and the market is indoors which makes it nice if the weather is not so great. Plus the market is open daily! 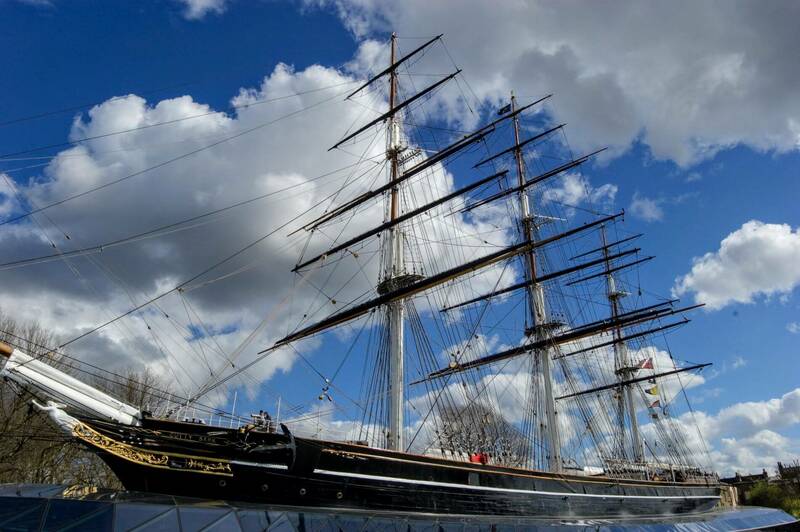 Right in Greenwich, this is a tea clipper ship that you can tour inside. You can see what life would have been like. This ship visited many ports around the world during its time. We visited this place our first visit to London with the London Pass. 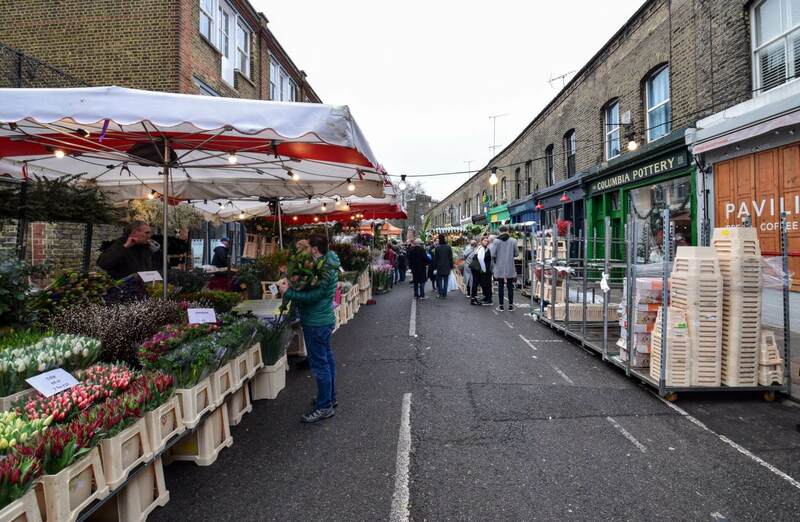 This street market is on Columbia Road (hence the name) in the Bethnal Green District. But this market is only open on Sundays from 8am till about 3pm-ish. Get out there on a Sunday morning and check it out! 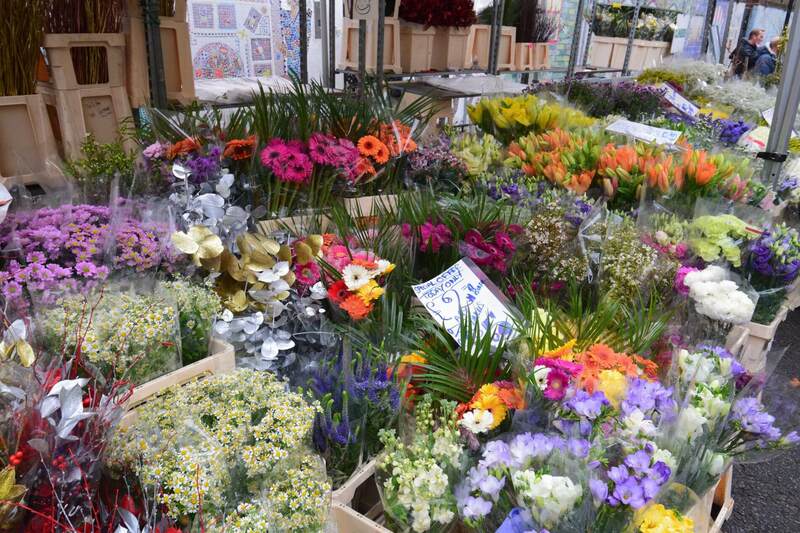 Like the Flower Market, this one is only open on Sundays as well. 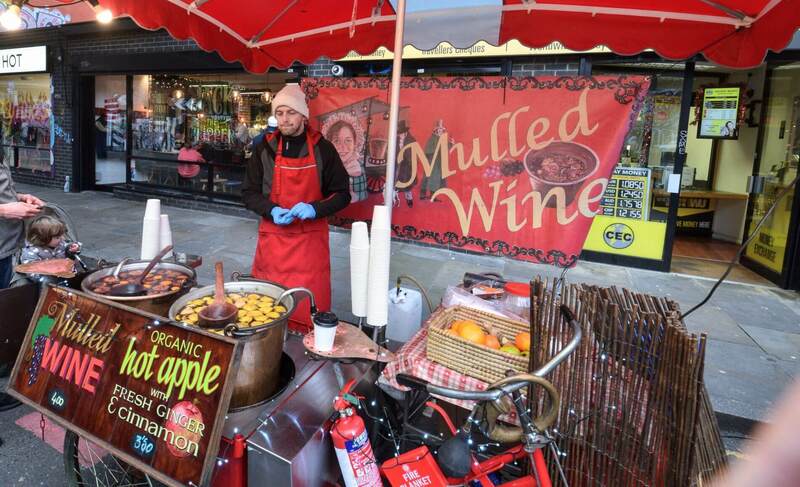 So Sunday is a good day to visit London’s East End! 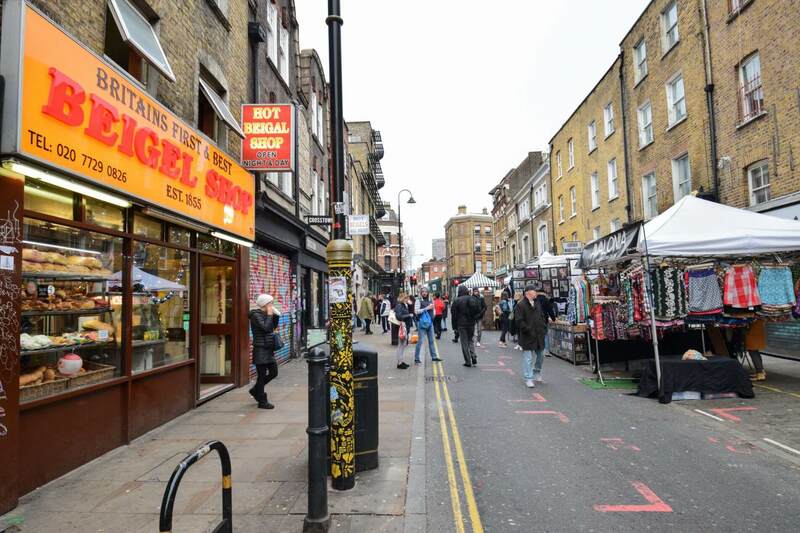 The first time we came to Brick Lane, we were a little underwhelmed (even though there were loads of shops, etc) because of what we read and expected. 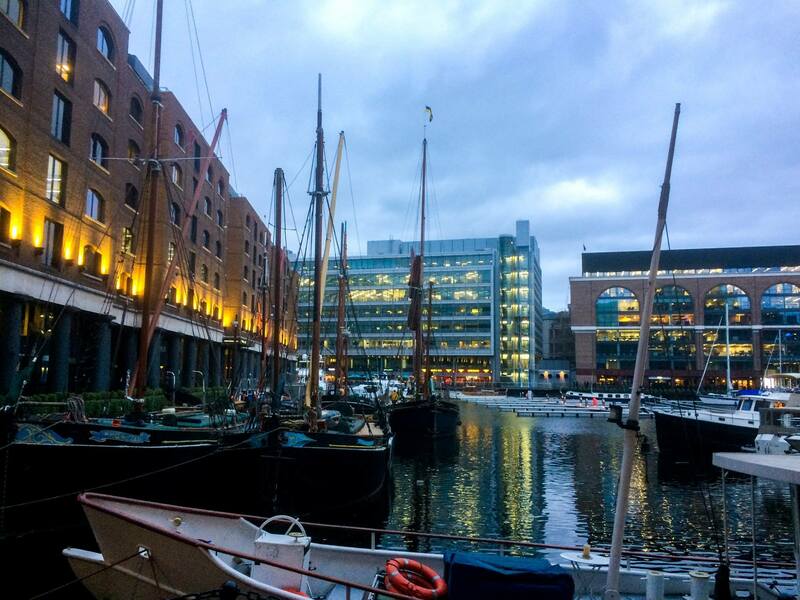 When we revisited recently on a Sunday, we threw our first impressions out the window, because we loved this area! All kinds of second hand things being sold on the streets, food stands, and loads of street art (which I’m loving to find more and more). 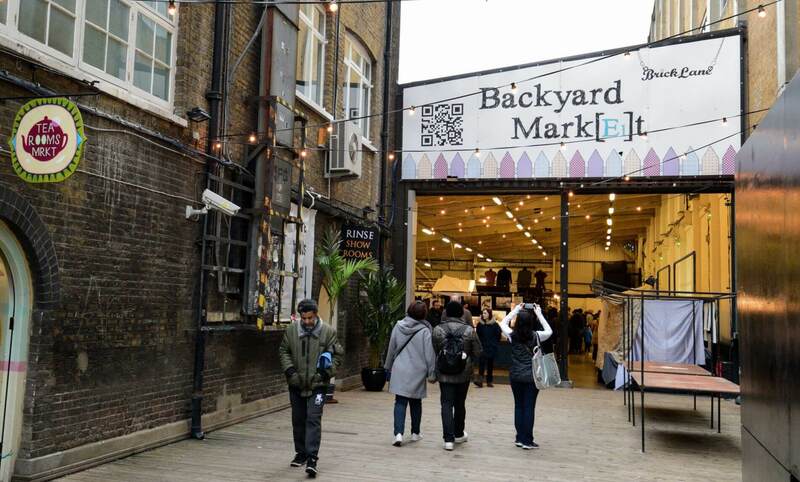 Other than the Brick Lane Market that’s only on Sundays, also there is the Backyard Market on the weekends on the same street. I bought the cutest shirt from a local vendor here. 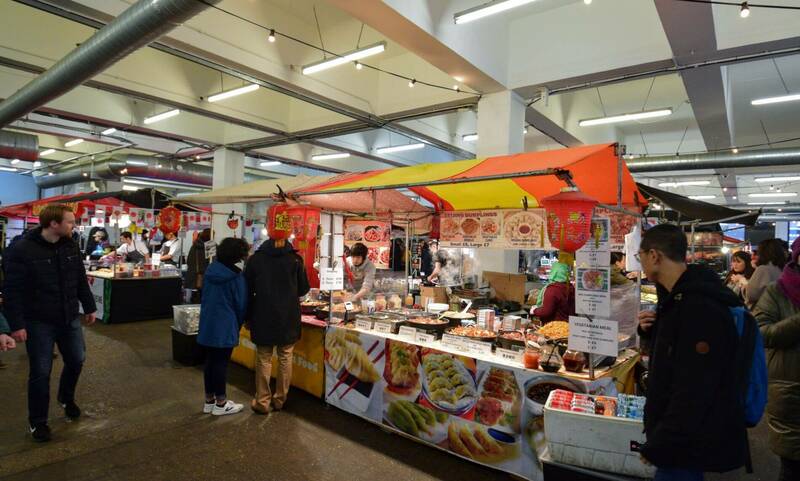 But, if you are looking for international food from all over, head into the The Old Truman Brewery on the weekends for some awesome food markets. It has indoor seating available also. 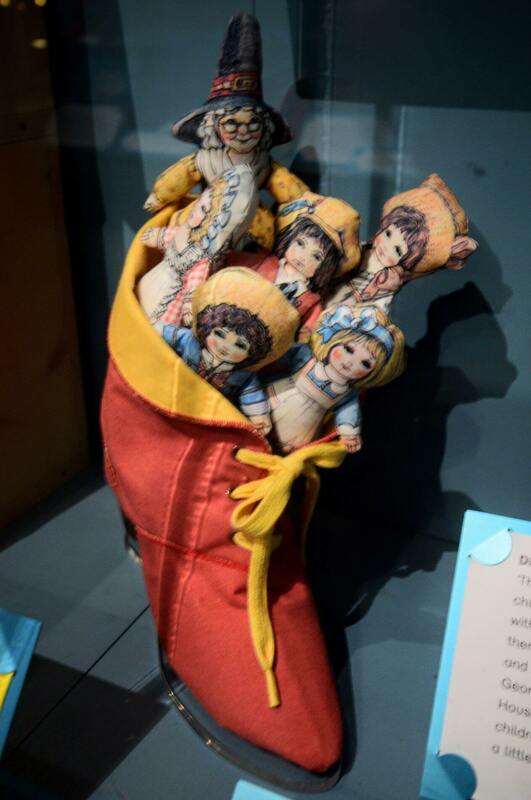 This museum is also in Bethnal Green district and has a collection of children objects from the 1600’s to today. They are also from different continents and insightful. V&A stands for Victoria and Albert, which refer to Queen Victoria and her husband. 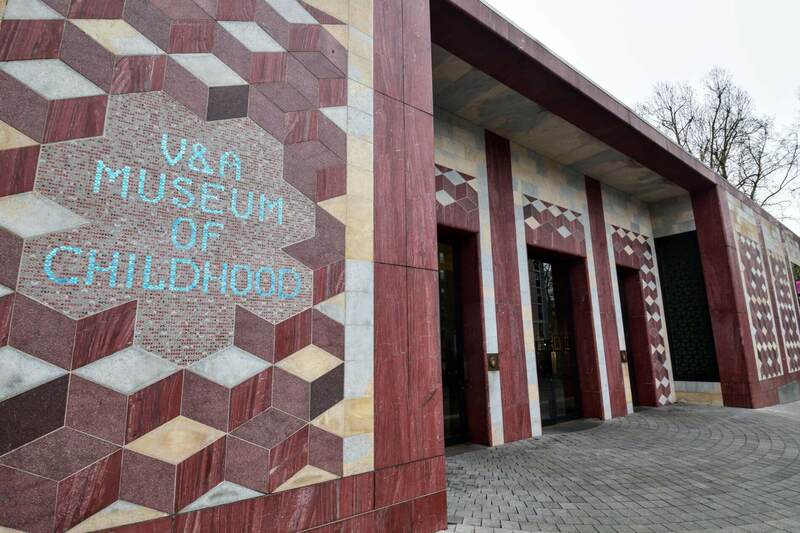 Best yet, the museum is free. 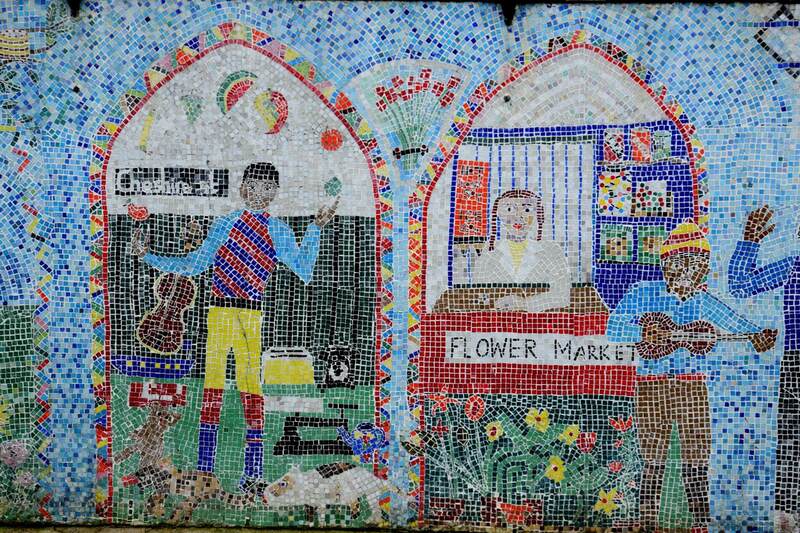 Victoria Park is located in Hackney and is known as the People’s Park for London’s East End. 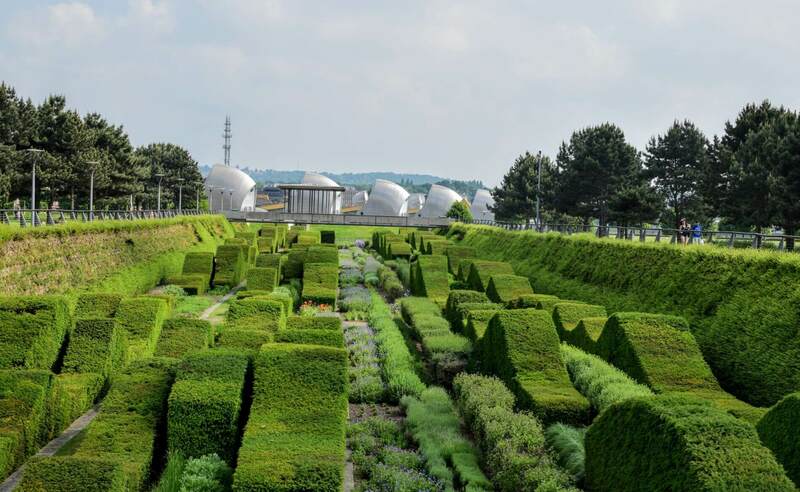 It is only a mile away from the Queen Elizabeth Olympic Park actually (where the ArcelorMittal Orbit is located). 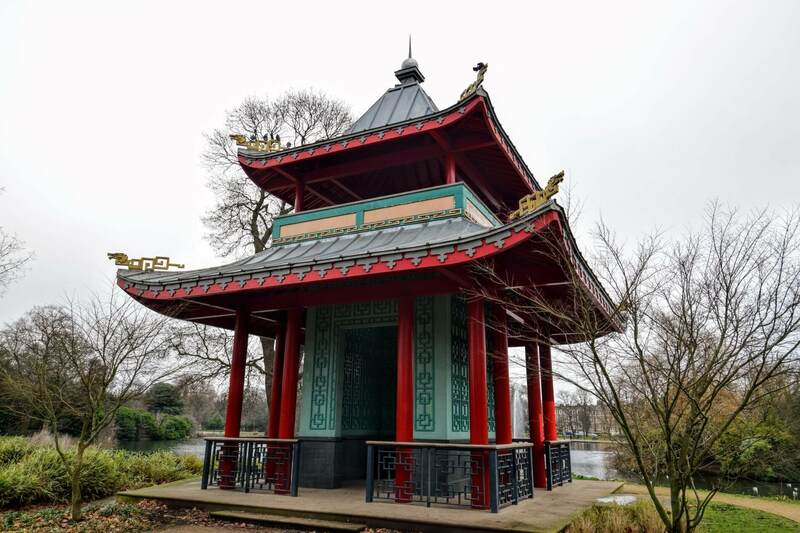 Inside are a couple of cafes, playgrounds, and we even found a Chinese pagoda. We found signs for a Victoria Park market as well, although we haven’t been to it. Other than the Museum of London and the Natural History Museum, this was one of my favorites. It’s specific on the life and events that took place in the East End, in the docklands which was a huge port for the whole world. 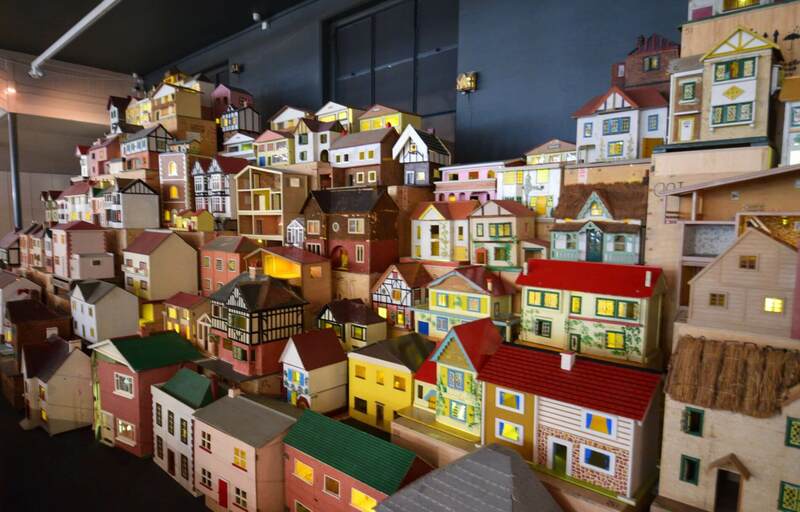 It contains a few floors, where you can learn about the history of the area through the years, from the origins of the port, the slave trade, World Wars and more. Free to enter as well. Highly recommend it if you are looking for more history on a specific area of London. We found this place because of the tour guide on the City Cruise boat tour. As we were passing by it on the way to Greenwich, he pointed it out to everyone. 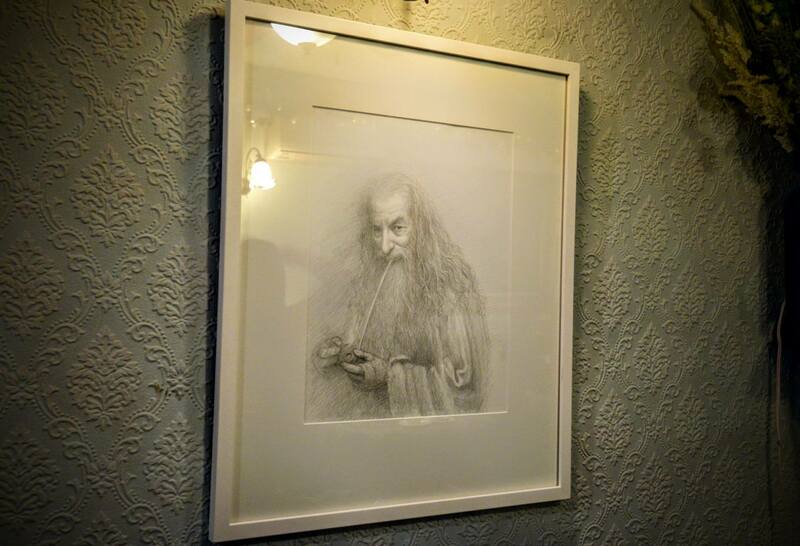 What’s special about it is, the actor Sir Ian McKellen, from Lord of the Rings, is the leaseholder…GANDALF!! Get the Sunday roast, if you are there on a Sunday. 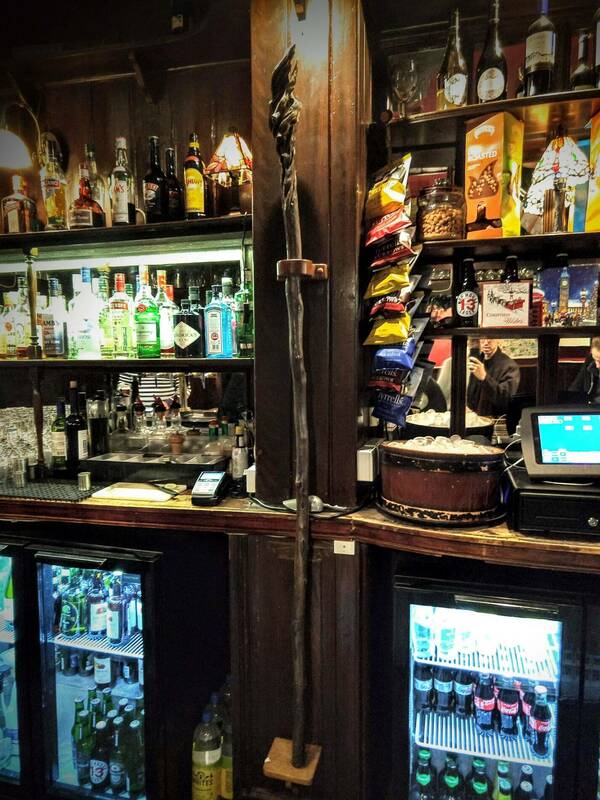 You can see his actual staff from the films behind the bar! He has been known to randomly show up on some Monday’s as well. Marvin desperately wants to return. 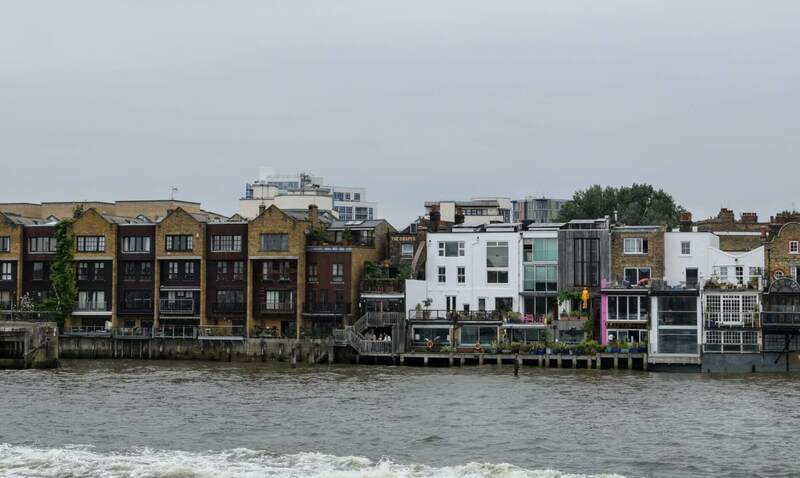 Other than a famous actor owning it, it sits on the Thames River and has a balcony you can enjoy the views. The pub has been around for about 500 years, and even Charles Dickens visited. This area is really cute, and makes you almost forget you are in London. This was previously a dock, although now it’s more for leisure. Today it is known as central London’s only marina. Have a stroll through, and eat at The Dickens Inn! Charles Dickens’ grandson opened this place originally. 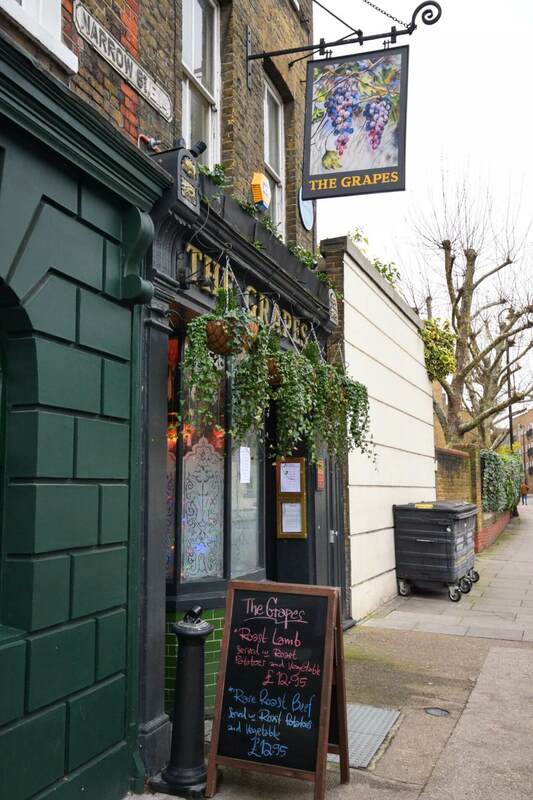 What would you do in London’s East End? Share with us in the comments below! Also follow along with us on our Facebook and Instagram. If you are looking for more itineraries for London, be sure to check out our recommendation for 3 Days in London, which includes part of London’s East End in Greenwich!